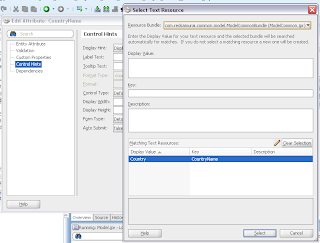 I got a question from blog reader about how to reuse Resource Bundles from different ADF BC projects. Actually its quite common requirement, when we were starting with JDeveloper 11g Tech Preview 3 we also wanted to reuse Resource Bundles, however it wasn't working. But good news, it works now perfectly. 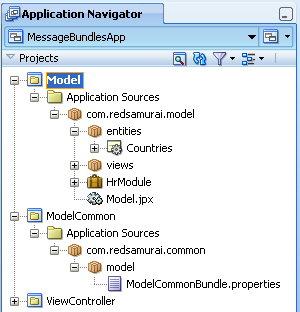 Download sample application - MessageBundlesApp.zip, it contains two ADF BC projects (one project shares Resource Bundle with labels and another consumes it). 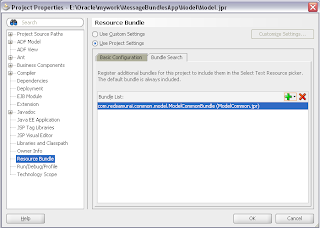 2. have a single resource bundle properties file? Which of the above will give better performance? OK. 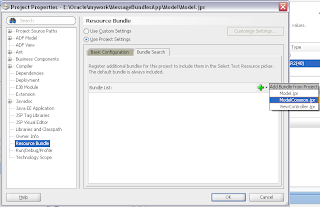 I tried to do this but the only way the resourceBundle.properties file in the other project would be displayed in the list was to select Multiple Shared Bundles option on Basic Configuration. 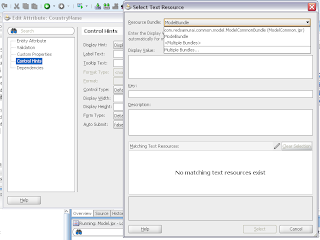 That option automatically creates a new resourceBundle file for the current file you are modifying. I don't want all these resource files to get generated. I just want to use the one I created in its project that I created. 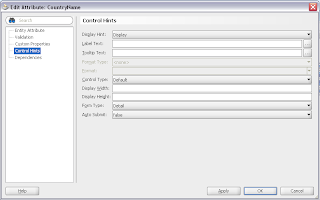 Is there some other configuration step I am missing? Is it reproduced same thing for my sample app on your platform? 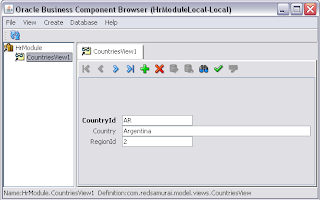 In this example, you use two different bundles from two different models but in the same project in the same application. But what about to use some model bundle from an imported model?? That's what's happening to me. Any idea? Thanks a lot! Yes, you can do that - same as with any other Java project/technology - same API's. Any help in this regard would be highly appreciate. how can i use html anchor tag in resource bundle message. I was wondering if there is a way to package a library and import it inside the Model Project instead of adding it as third project. I am new in ADF but that was the kind of thing I was expecting, however it has been a challenge.